I have spent the last week being very sick. The flu that hit me was the worst one I have gone through in a long time. Nothing like waking up feeling like death for days on end. And on top of that, Cape Breton had the storm of the century. And just a couple of days later, I am home from work due to a snow day. yet another 20 cm is barreling down on us. Oh. Joy. 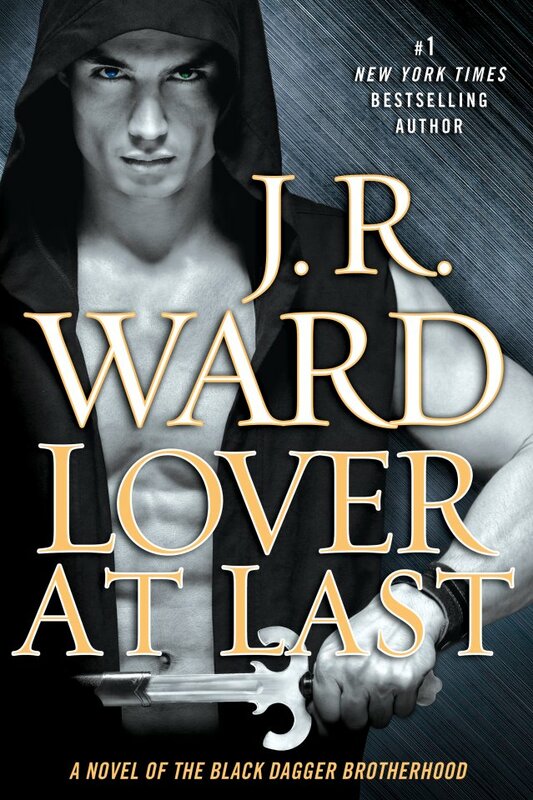 During these days, I managed to finish my current book, ‘Lover at Last’ by JR Ward. This is my last JR Ward book for a bit. While I am dying to get into the next book of the series, ‘The King’, I don’t have it yet. Today I started a Stephen King to break things up just a tad. My mind was pretty wonky when I read ‘Lover At Last.’ Between three days of no sleep (I wish I was joking) and flu meds, my head was fuzzy. But I was able to read it and still enjoyed it. Back Cover: Qhuinn, son of no one, is used to being on his own. Disavowed from his bloodline, shunned by the aristocracy, he has finally found an identity as one of the most brutal fighters in the war against the Lessening Society. But his life is not complete. Even as the prospect of having a family of his own seems to be within reach, he is empty on the inside, his heart given to another…. My Thoughts: When all is said and done, I really enjoyed this book. It was the one I have been dying to get to for awhile. I did feel a bit disappointed in the execution of this novel. One thing I did with this book that I hadn’t really done with the others (and I am ashamed to admit it) was skim over several scenes. Most of the ones with Assail and Sola. I’m supposed to care about characters and I didn’t care about these two at all. I felt like this wasn’t the book to see their POV. I ended up skipping these parts, to get on with the rest of the story. I felt the attention was taken away from Quinn and Blay and it was supposed to be ‘their’ book. There was a lot of character development, especially with Quinn. I have loved Quinn since the first time we see him. He is a strong character and in this book does some epic things, including pulling off the mother of Hail Mary’s when flying a plane for the first time, and coming to terms with who he is, and finds the courage to…well, you will have to read the book to find that out. Also, I found there was just a bit too much angst. I felt like the end result could have happened a bit sooner so we could have seen some more of the happier moments. I felt for Quinn because he’s already had so much crap happen to him in his life that I just wanted him to be happy already. The guy deserves it. Overall I loved it. JR Ward is a fantastic author who has created in depth characters, keeps the story going with plot twists, leaves you hanging and wanting more. As much as I love vampires, I am now into an adventure with the King of Horror. After that, I’m not too sure. What are you reading? What’s next on your reading list? So in my last post I answered my questions from Shannon. Now it is my turn to nominate some of my fave blogs for this award! 1-What are your top 5 favorite books? 3-What are your 3 favorite foods? 5-How do you start your day? 6-If you could have a fictional character come to life, who would it be and why? 7- If you could have dinner with anyone in the world, past and present, who would it be? 8- If you were give $1000 and were told you could only use it for fun, what would you do? 9-What is your favorite hobby and how did you get into it? 10- If you had a superpower, what would it be? 11- Would you be a hero or the villain? So last week I get an email from my friend and pen pal Shannon from The Simple Joys of Life asking me if she could use a photo to represent my blog because I was nominated. I was just so excited that I got nominated for something, that I didn’t ask the what and the why of it all. Not sure what this is all about? 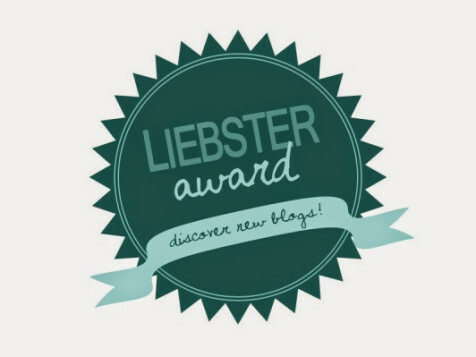 The Liebster Award, it is an award given to Bloggers, from Bloggers. To receive an award, you should have less than 200 followers and the goal is to small blogs you like and help them get discovered. I think it’s a great idea and a lovely gesture! I am happy just to have some followers and get the odd like here and there. I didn’t know when I started this if anyone would follow me (over 80 of you now, I love you all 🙂 ) or if anyone would even like or comment, but quite a few have. I love the interaction. I am honored to be nominated! 1- Mention the person who nominated you on your own blog and link them. 5- Let your nominees know! 1- What pushed you to start blogging? If you had asked me five years ago about blogging, I would have told you I’d never do it. But never say never. I don’t know what pushed me to start exactly. I have always loved writing, from fiction to journals. I looked at blogging as another way to journal, to talk about the things I love or are interested in. Or even just to vent. 2- What is your favorite blog and why? Oh this is tricky! Instead of naming which blog is my fave, I will tell you my fave type of blog. The ones I read about most are about writing (fiction as well as pen palling). They are two of my biggest loves. 3- If you could put 5 things from your home into a time capsule today, what would they be? Hmmm, I’d go with an album with my family photos, my Harry Potter books, a letter to my future self, my Yoshi plushie, annnnnnnd my favorite movie of all time, ‘The Princess Bride’. 4- What is your all time favorite book? 5- If you could travel anywhere tomorrow, where would you go and why? Scotland! I have wanted to go here since I was a kid. Learn more about the history and visit CASTLES! I read. I also love walks. Nothing better then zoning out with tunes in my ears while enjoying the outdoors. 7- Do you prefer the country or the city? I’d rather a rural area, a place that’s in between the two. 8- What is the most adventurous thing you ever did? Oh my, well, I have never done anything wild or crazy like skydive or something. But a couple years ago we went to Toronto for Fan Expo. It was my first plane ride and first big trip and we did SO much. So that trip was an adventure in itself. 9- How do you like to start your day? When the weather is good, with a walk. I get to wake up and get in a good mood with my music and fresh air. I get ready for work and play on my computer for a few minutes or read a chapter of my newest book before heading to work. And I need an iced coffee from Timmy’s. My day doesn’t go right if I don’t have that tasty delight. 10- How did you come about one of the hobbies you blog about? I started pen palling when I was little. I wanted to get some mail and my mom told me “Well if you want mail then you have to write.” So at eight years old I started sending letters to my cousin in Newfoundland. 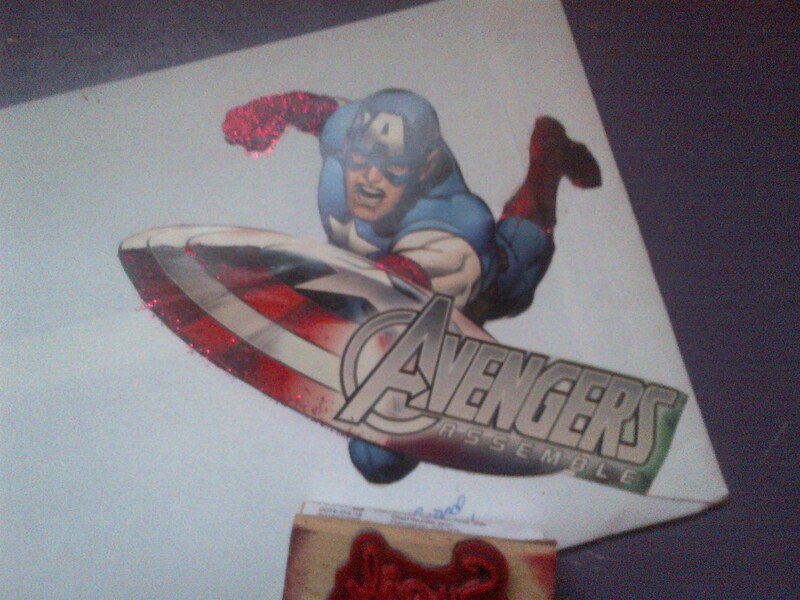 When I got into sixth grade, our class had penpals from another school. My interest grew from there. 11- What is your favorite word? I don’t really have a favorite word. not at the moment anyway! Back Cover: Ever since the death of his shellan, Tohrment has been a heartbroken shadow of the vampire leader he once was. Brought back to the Brotherhood by a self-serving fallen angel, he fights again with ruthless vengeance, unprepared for a new tragedy. Seeing his beloved in dreams—trapped in a cold, isolated netherworld—Tohr turns to the angel Lassiter to save his former mate. The only way to rescue her is for Tohr to love another. As war with the lessers rages, and a new clan of vampires vie for the Blind King’s throne, Tohr struggles between an unforgettable past and a hot, passion-filled future. But can his heart let go and set all of them free? 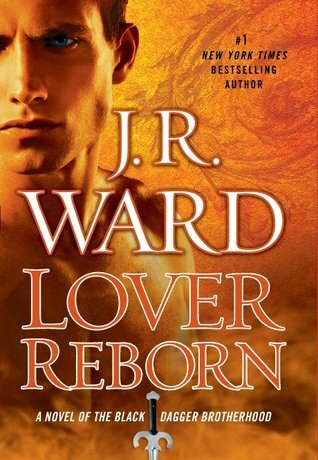 My Review: Lover reborn is book 10 in the Blackdagger Brotherhood series. It is now in the top 3 of my favorites for this series. It almost comes in first, but Rhage (book #2) will always be my #1! Ok so, I was looking forward to this book for awhile. Tohrment was one of my favorite brothers since book one. His character has pretty much gone through hell and back, and finally he gets his own book and happily ever after. Through the coarse of the series, the man Tohr looked up to as a father/best friend was killed, his shellan was murdered, his best friend and Brother (the Blind King) was severely injured, had a rift with his adopted son, and he was on the brink of death himself. If it wasn’t for a sassy fallen angel, he would have died. When he returned home to the mansion to be with his Brothers, Tohr was the shell of who he used to be. And come on, after everything he went through, who could blame the guy? Lassiter informs Tohr that his late shellan, Wellsie, has not moved onto the Fade. That she is stuck in the In Between, and if Tohrment doesn’t move on, his beloved will vanish with their unborn son into nothingness. And it’s not just Wellsie’s fate at stake. Lassiter has been sent to help him move on, and he doesn’t think he’s the angel for the job. Meanwhile we have No’One, once a female of worth, she comes from the Other Side to be with her daughter. She has her own horrible past and renamed herself No’One, since that is how she sees herself. Later she is renamed, and I loved the new name and how it happened. I loved watching Tohr and No’one become friends, and then slowly turn into more. He denied any feelings of love even though to me it was obvious. A couple of times I yelled at the book (am I the only one who does that!?) because I just wanted them to realize their love and be happy. This was the best book I have read in this series in awhile. I enjoyed the last few but they didn’t have me this engrossed. Tohr ripped my heart up on more then one occasion. I am a sucker for pain and angst in a book and this poor guy has it in spades. Needless to say, I cried with him but I also cried for him. Some people online were worried that the WARDen couldn’t pull this story off. She totally did. I had faith in her. Now that this book is finished, I have two books to go before I am caught up, but I doubt I will get both finished before the newest is released at the end of the month. I need to track down a copy of ‘The King’, and luckily for me I have ‘Lover at Last’ sitting on my shelf waiting for me. For once I am actually on top of things, and not worrying about being late like the white rabbit from Alice in Wonderland. Today is International Women’s Day, and I have chosen to honor it with my favorite thing in the world: books. Books written by my favorite female authors, which include some of my most favorite female characters. 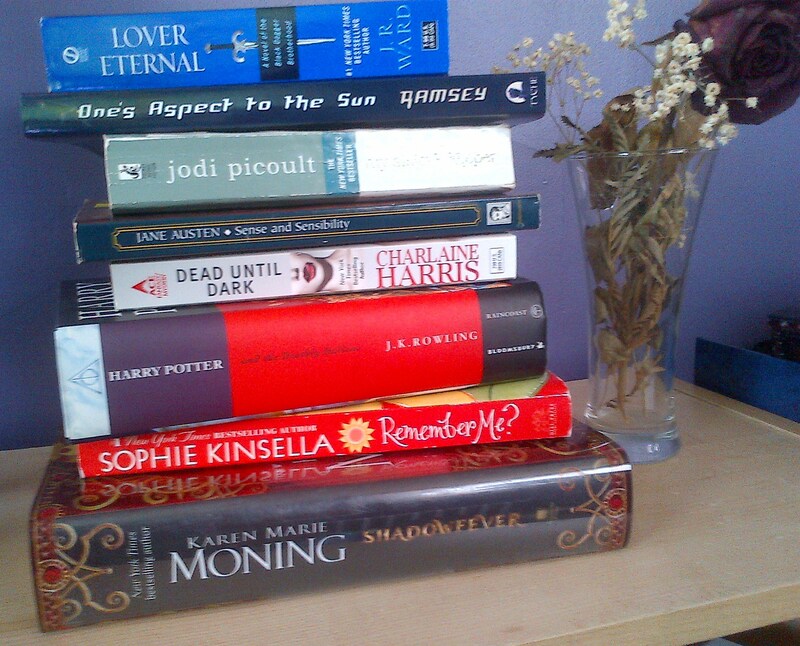 I could have picked a bigger stack of books for this, but then I wouldn’t have been able to get them all in one photo. So I narrowed it down to my top faves. ‘Lover Eternal’ is my favorite book written in J.R Wards ‘The Blackdagger Brotherhood’ series, which features Mary Madonna Luce, who is compassionate, kind, and has a heart made from gold. Jane Austen. If I could have picked an era to live in, it would have been hers. ‘Sense and Sensibility’ is the novel that made me fall in love with her. I’m a sucker for romance, and I have watched the movie and read the book countless times. The Dashwood sisters remain near and dear to my heart. Although sometimes I have wanted to kick Marianne right in the caboose. J.K Rowling inspired the world and our imaginations with Harry Potter. And what better female to honor today in the fictional world then Hermoine Granger, the bookworm/book smart/street smart lady full of sass who kept Ron and Harry in line. I am happy that someone had the sense to pull her manuscript out of the trash and seen it for what it was and is: pure gold. Sophie Kinsella has always made me laugh with Becky Bloomwood’s antics, and made me cry in ‘Remember Me.’ No matter what book of hers I am reading, she never fails to entertain me and leaves me wanting more. Another author that fills my love of dark fantasy is Karen Marie Moning. I started out reading her Highlander series when a client of mine recommended it to me. I devoured them quickly and moved on to her Fever series. The Fever series features MacKayla Lane aka Mac. She’s a girly girl who loves pink, who is thrown into the world of the supernatural and discovers she has a rare talent. I loved watching her transform from Mac 1.0, to the killer mac 5.0. These are some of the ladies and characters who have inspired me and continue to do so. Aside from my mom of coarse 😉 Where would we be without those women who loved us no matter what and stuck by our side? What female authors/ characters have inspired you? I feel like I should start off with an apology. Like my Month of Letters in February. I wasn’t the best at keeping up with updates and fun mail. I’ve got a few ideas rolling in my head that center around the writing life, books and other geekery, I just haven’t had the mental energy or brain cells to remember to write them up. I’ve had my mom on my mind for the last week or so especially. She had a surgery (all went well!) but of coarse, the worry and stress took up a good 90% of my brain. I’ve had a few shining moments in the last week or so. My newest autograph showed up in the mail. I was pretty stoked the day I opened this. 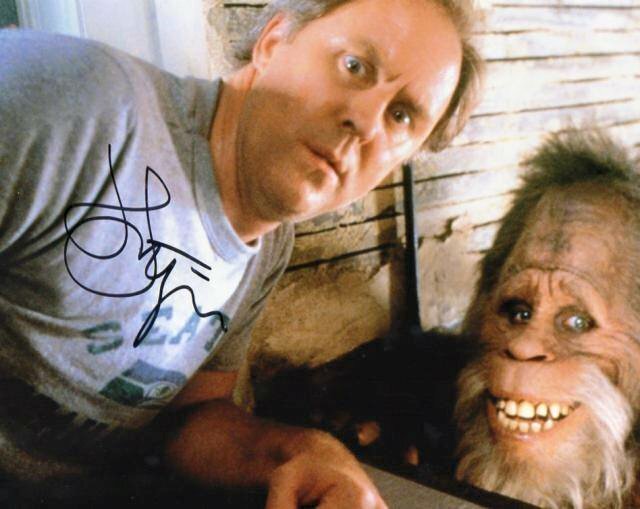 I have been a huge John Lithgow fan for years. I also had another ‘celeb’ pop up in my mail box when I got another fab letter from Shannon. I also got two late Valentines, which was a sweet surprise. Mel and Sarah both sent me one. The one from Mel is currently missing in my paper pile (If you are reading this, thank you and no rush with a letter. ❤ ) And this one is from Sarah in the USA. 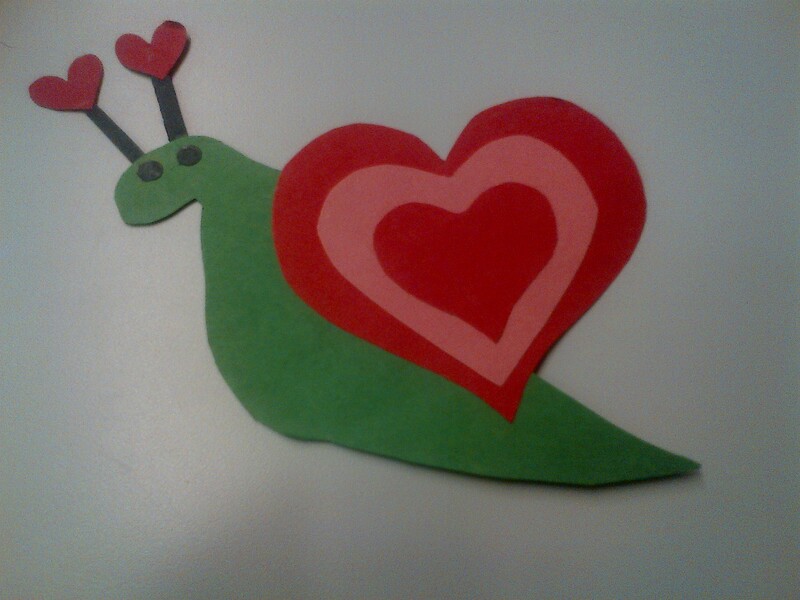 Snail mail Valentine. Too cute eh? So, I promise I will get properly on track as soon as I can. Right now Momma Bear comes first on my list and also in my head. In the meantime, when I am not re-blogging other cool posts or making a quick stop in, I’m making a list of ideas for future ramblings.